I don’t normally do book reviews — and with good reason as you may come to find — but when Barrie Summy asks me to do something, I cannot refuse. So it is in good faith and crossed fingers that I embark upon my very first book review, the format of which I will lift from Barrie’s website as a crutch. 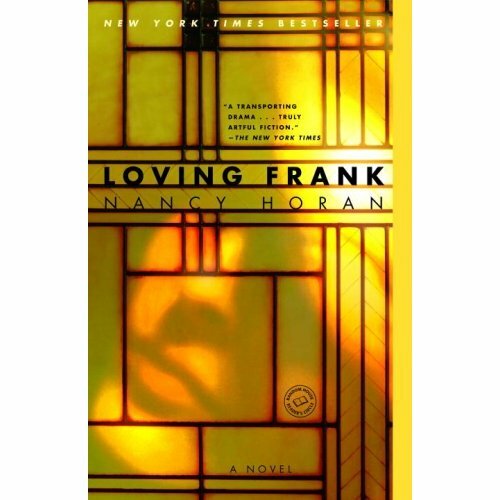 So I’ve just finished Loving Frank by Nancy Horan and count it as one of my favorites in the historical fiction genre. So writes Mamah Borthwick Cheney in her diary as she struggles to justify her clandestine love affair with Frank Lloyd Wright. Four years earlier, in 1903, Mamah and her husband, Edwin, had commissioned the renowned architect to design a new home for them. During the construction of the house, a powerful attraction developed between Mamah and Frank, and in time the lovers, each married with children. embarked on a course that would shock Chicago society and forever change their lives. Indeed this book tells the story of Mamah and her illicit affair with Frank Lloyd Wright. And yes, complicating matters was that both Mamah and Frank were married with nine children between them, so when the two took off to Europe together in 1909, public outrage and scandal followed them. But this isn’t so much the story of that. This book is about a driven, intellectual feminist who found her soulmate in a man other than her husband. It’s about how far one might go to pursue self actualization and what one must give up in the process — and whether it’s ethical and right to do so. The backdrop of the early 20th century, a setting firmly grounded in the story, also gives stark contrast to what society at that time expected of women and how it sometimes repressed them as well. Having lived in Chicago, I often heard of Frank Lloyd Wright and knew the broad strokes of his life and work, but never knew a thing about his affair with Mamah. In fact, this detail is all but ignored by some scholars at worst, and brushed over at best. The affair, which turned tragic, was considered an abomination and immoral and thus glossed over in the history books. And that’s what I loved so about this book. Horan’s research was exhaustive and through her “educated guesses,” the reader gains rich insight into what led Mamah to Frank and how she could have abandoned her family for the relationship. Also, through ingenious third-person perspectives given through included newspaper articles and some found authentic letters, the reader assembles a 3D view of these characters, learning that Wright had money and ego problems, and that Mamah might have hitched herself to someone else’s star rather than pursue her own dreams. Or maybe not. What remains is that in reality, we will never know what drove Mamah and Frank, but this book gives the satisfaction of thinking we do. Written in a literary, absorbing, storyteller style, Horan’s novel (her first) unfolds like an epic tale starting with Mamah’s first meeting with Frank to the house (Taliesen) he designed for them to grow old together in Spring Green, Wisconsin. For writers, the characters’ musings on creative genius and following inner truths flesh out a truly prosetastic read. If you enjoy historical fiction with a huge wedge of fact, or are just looking for a wonderful story that gives you an eavesdropper’s glimpse “behind closed doors,” Loving Frank is your book. To read all the reviews for this month’s Book Review Club, go to Barrie’s site here. How interesting. I’ve always been fascinated by Frank Lloyd Wright and enjoyed touring “Taliesen West” in Arizona. Thanks for this, I’m so excited to read it now! Nice review! You should do more. I love the architect but imagine he’d be a hard man to love with his history with women. I seem to recall that there’s another novel out now about this subject. OK So why don’t you do more of these reviews? Because this? Was excellent. And Now I have another book I Have To Read. You did an excellent book review – I want to read it now. 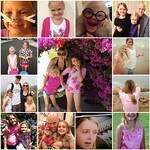 Uh, San Diego Momma, you are an AMAZING reviewer!! I would pick up this book in a heartbeat and I generally don’t read much historical fiction even with a “huge wedge of fact”!! Thank you so much for joining in. Wonderful review; makes me want to rush out and get this book (well, check it out from the libe; that’s my style these days)! This one sounds like a winner. Thanks for agreeing to write a review! I keep passing this book in the bookstore and have picked it up several times. This review cuts it. I’m buying it next trip. I read a bio of Frank, and was fascinated by him. I’ve not read this, but I’ve wanted to. Now you’ve convinced me. And to think that I voted against this one as a selection for my book club! If only I’d read this review first . . .
I’m a big fan of Wright and now I think I’m a big fan of Mamah, too. Self-actualization, sacrifice, running off…I totally get it. Book goes on my list.